Putting off a small-town feel that is rich in history, Arvada, CO may actually surprise you with their abundance of things to see and do. Some of the things that you can only do in this charming town include seeing the collection of rare and vintage vehicles collected by best-selling author Clive Cussler or taking a class at the Shadowlight Theater with the world-renowned Silhouettes. You can spend your days exploring Historic Olde Town Arvada which is filled with one-of-a-kind shopping, dining, and entertainment venues. 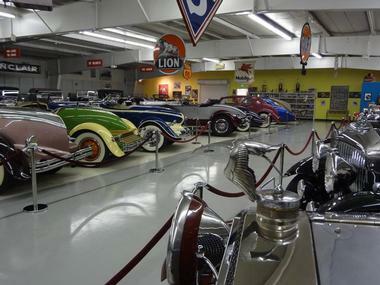 The Cussler Museum was started by renowned best-selling author Clive Cussler who has an affinity for rare automobiles. The museum works to collect such vintage vehicles from all over the world and preserves and displays them at the museum for everyone to enjoy. The extensive collection has not grown to over a hundred significant automobiles, mostly ranging in years from 1906 to 1965. One of the most impressive additions to the museum’s collection was a 1955 Studebaker President Speedster which is a special edition model of which only 2,215 were made. Some of the other interesting cars that can be seen are the 1932 Auburn Boattail Speedster and the 1957 Cadillac Eldorado Brougham. 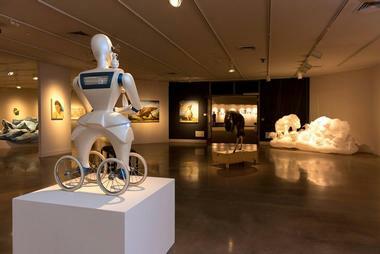 The Arvada Center for the Arts & Humanities is a multi-use cultural facility which houses the Arvada History Museum, several art galleries, three theaters, an amphitheater, classrooms, a conference center, and rehearsal rooms for music, dance, and theater. 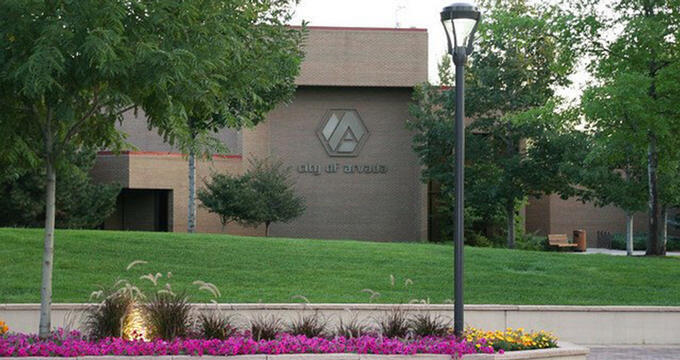 The center opened in 1976 and soon grew to be an integral part of the community. It is the third largest theater company in the state and organizes several groups, classes, workshops, and performances throughout the year. There is a community chorus - the Arvada Center Chorale, visual and performing arts classes for people of all ages, and several musicals and stage plays performed by various companies. 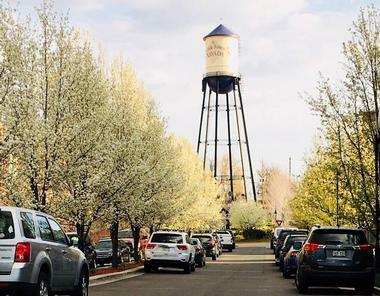 If you’re looking to spend your vacation shopping, dining, and enjoying several entertainment venues, then there’s no better place to do it than Historic Olde Town Arvada. The heart of the city is a wonderful combination of modern-day amenities and historic charm - giving you the best of both worlds. There are over a hundred boutique shops and restaurants in this vibrant neighborhood and you’ll be able to find everything from one-of-a-kind handmade jewelry to unique designer wear. You’ll find kitschy shops of all kinds; for example, the Olde Town houses Southwestern art, spa products, spices, and a camping supplies store with everything you need for an outdoor adventure in Arvada. Majestic View Park and Nature Center is a wonderful way for families to explore the outdoors in a safe, educational, and fun manner. 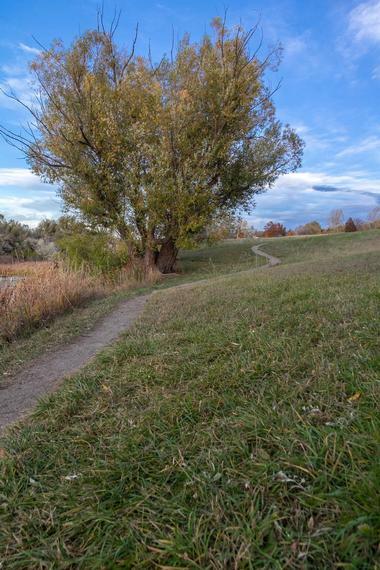 There are over 80 acres to explore, allowing you to walk through the lake, wetland areas, and prairie grasses while being surrounded by stunning mountain views. The interpretive trail is one of the best ways to enjoy the park as it’s filled with information on the flora and fauna you’ll come across. Kids and outdoor lovers can spend hours in the Nature Center playing with the hands-on displays, looking through the wildlife exhibits, or interacting in the kids’ activity area. Ballrooms at your local hotel and downtown conference centers are a thing of the past. Enliven your event, no matter if it’s a chill wedding or an all-day corporate meeting, by hosting it at Lamar Street Center. 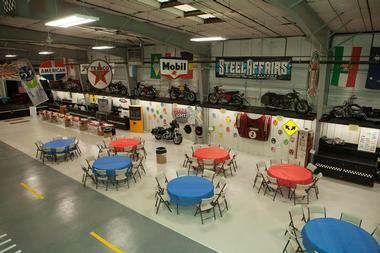 The venue is truly one of a kind; the 13,000 square foot space is decorated with retro art, vintage gas pumps, classic cars, motorcycles on the walls, and even a race car hanging from the ceiling. If you really want to host a memorable event in Arvada , then the Lamar Street Center is the place to do it because your guests will talk about it for years to come. You’ll have the freedom to bring in your own caterers and vendors, while the center will ensure they cover the amazing decor. The idea for Odyssey Beerwerks came twenty years before the actual brewery came to be; an at-home hobby led to a lot of trial, error, and eventually, demand, before the owners were able to take their craft and make it a business. 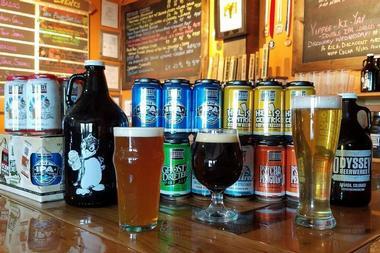 Their taproom is open throughout the week and is a great place to try their core and specialty brews. A few core beers that patrons can’t keep their hands off of are the Heliocentric Hefeweizen, Ghost Drifter Pale Ale, Palm Tree Caribbean Lager, and the Psycho Penguin Vanilla Porter. Specialty beers rotate seasonally but some that come back year after year are the Fluffy Pumpkin Toasted Marshmallow Porter and the Simply Red IPA with Pineapple. SomePlace Else Brewery is a family owned and operated endeavor that runs on a passion to create delicious beers to share with friends, family, and the community. The atmosphere of the brewery is so lively. 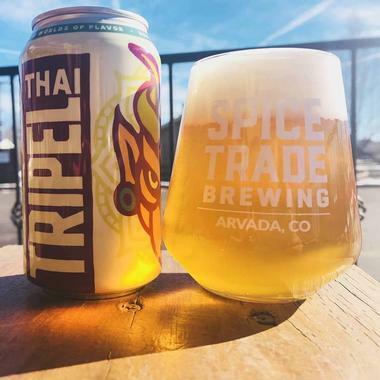 From the art by local artists that is showcased on the walls to the energetic brewing sessions that are hosted there with local brewmasters, visiting SomePlace Else is sure to be a great memory from your trip to Arvada. Make sure to stop by the brewcade and play fun games like Galaga, Star Trek, Pinball, and Simpsons, while enjoying the delicious beers they have on tap. 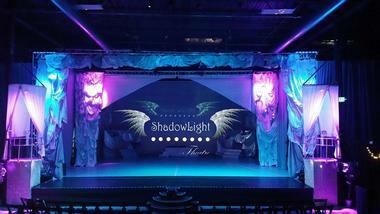 Shadowlight Theatre is the exclusive training center of The Silhouettes, a group which rose to fame in 2010 after their performance on America’s Got Talent won them 2nd place out of over 100,000 acts. The performers, who are children, use light, color, photographs, and video to tell a story through dance, acting, and mime. The performances are passionate, emotional, and will captivate audience members of all ages. At the Shadowlight Theatre you have the opportunity of training like a Silhouette or maybe even becoming one yourself. Classes are for all abilities and offered for ages 3 to adult. Training classes vary, and many include musical theater, hip hop dance, acting, ballet, tumbling, stretching, and much more. 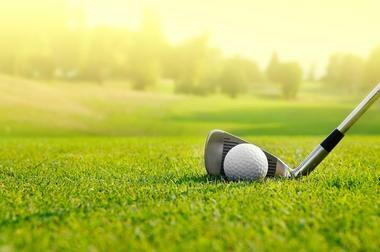 The Indian Tree Golf Club offers an 18-hole par-70 golf course that has over 7,000 yards in length. The club offers four different sets of tees, and you can create your own combination creating seven different lengths to play from. Additional facilities at the Indian Tree Golf Club include a 9-hole par-3 course of 1,140 yards, a practice area, 24 tee driving range, a putting green, a chipping green, and a sand bunker. Aspects of the club which visitors may also enjoy include a Pro Golf Shop and a restaurant that is open seven days a week, all year long. If you’re looking to go on a guided fly fishing adventure while in Arvada, then head on over to 5280 Angler, where they’re passionate about walk and wade fly fishing adventures all year long. The professional fly fishing guides are committed to providing you with an enjoyable experience, no matter if you’ve never even held a fly rod or if you’re a veteran angler. 5280 Angler will provide you with all of the local knowledge, skill, and equipment you’ll need to have an amazing time. You can choose to go on a ½ day, ¾ day, or full day fishing trip - all full day fishing trips last around seven hours and include a freshly prepared streamside lunch. Mixing fine Indian and Nepalese cuisine with delicious beer handcrafted on site, it’s no wonder why Yak and Yeti is one of the most popular dining establishments in Arvada. The atmosphere is friendly and comfortable as delicious smells from the kitchen waft through. The menu is filled with traditional cuisine that have been given a little twist to entice your palate. Start your feast with shrimp pakoras, vegetable samosas, and tandoori chicken wings. Then move on to mouthwatering entrees such as the baigan bharta which is roasted eggplant cooked with cream, the lamb biryani cooked with saffron, or the lamb kadai which is a curry full of bell peppers, onions, and tomatoes. 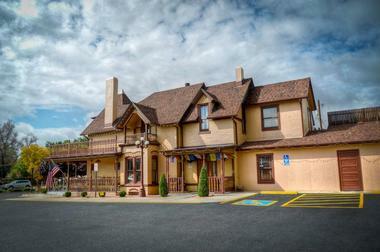 The Arvada Tavern is a historic site as it was the first establishment in the town to ever be issued a tavern license back in 1933. For the people of the community it was a day of liberation, and that feeling of being free and alive can still be felt at the tavern today. In addition to the great atmosphere and service, you’ll also be able to quench your thirst with ten of Colorado’s finest fresh brewed draught beers or one of the tavern’s traditional cocktails. Pair your drink with a delicious meal from their menu of local classics like burgers, mac n’ cheese, and buffalo wings. The tavern is a famed late-night haunt and if you happen to stop by, be sure to try their loaded fries smothered in house cheese sauce. 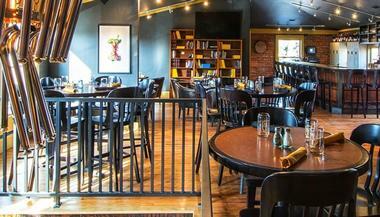 School House Kitchen and Libations was established in 1882 and can be found in the heart of Historic Olde Town Arvada. The establishment is built within the original Arvada schoolhouse and offers over 1,400 different whiskeys, 50 beers, and a sizable menu filled with delicious concoctions to pair your drink with. You’re sure to love your experience as you wander through the Home Room dining area, the Library Bar, and the upstairs Teacher’s Lounge, Arvada’s first rooftop patio. Popular entrees include the smoked pork belly tacos, shrimp & grits, the portabella parmesan, and the green chili cheese ravioli. 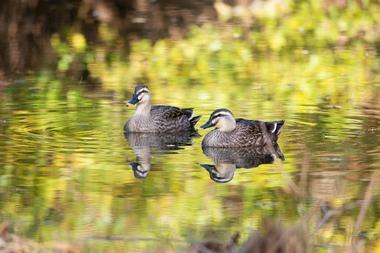 Spanning over seventy acres, the Two Ponds National Wildlife Refuge was established in 1992. It has since then protected hundreds of native flora and fauna which call the unique high prairie home. In addition to providing habitat for wildlife, the wetlands also help mitigate flooding in the area. There are uplands, wetlands, and ponds which you can explore; the refuge offers several guided tours, educational group trips, hiking opportunities, and other workshops and activities for visitors of all ages. Each year, thousands of people visit the wildlife refuge to enjoy the stunning natural environment that it provides so be sure to stop by while you’re there. The New Image Brewing Company started long ago with a process engineering job at Anheuser-Busch. That role sparked a fascination with the science behind brewing and a passion for creating exceptional craft beer. After several years of working at different craft breweries and honing recipes at home, the New Image Brewing Company was born. Their brewpub brings the community together to share in their love of brewing delicious beers while having a good time with friends and family. Having started with a small portfolio of beers, their core brands have evolved to reflect the months of experimentation, attention to detail, and feedback they’ve received. Crowd favorites include the dry-hopped sour ale, Flora, their Kombucha blended brand, Dyad, and their Vermont-style DIPA, the East Coast Transplant. The Silver Vines Winery was established in 2011 by brothers Jeff and Danny Chayer who spent several years prior to opening the winery in the industry learning how to make and manage delicious wines. Their wines have won many awards over the years including Double Gold for their 2012 Cabernet Sauvignon. 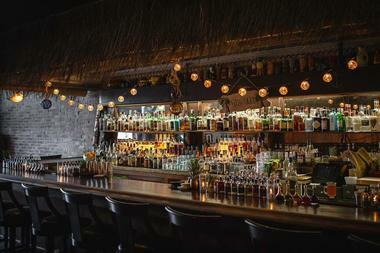 You can head over to their tasting room to try their delicious concoctions. Their Chardonnay is elegant, medium-bodied, and subtle hints of sweet citrus fruits with subtle oak nuances. The experts at Silver Vines Winery are more than happy to have a chat with patrons about their wines, their processes, and everything else that happens behind the scenes.